The new version of Assault by Muscle Pharm is a powerful pre-training supplement that through a system of 5 phases of nutrient release, will provide the energy, focus and determination needed to confront a tough training session. Feed your body with the most advanced ingredients to obtain the best results from each training session. Each serving of Assault is loaded with up to 2000mg of Carnosyn® Beta-Alanine, patented, and through the 'ION-3 Nitrate Technology' system, which will ensure better absorption and subsequent transportation of each of the elements added to this tremendous formula. Beta-Alanine has the ability to increase the reserves of intra-muscular Carnosine, improving the athletes physical performance, via improved use of lactic acid, and avoiding the so-called lactic plug. By so doing, the duration of high intensity exercise will be increased for longer. Assault is a complete experience, in which you will enjoy improvements in strength, endurance, creation of muscle mass, and exceeding your training limits. 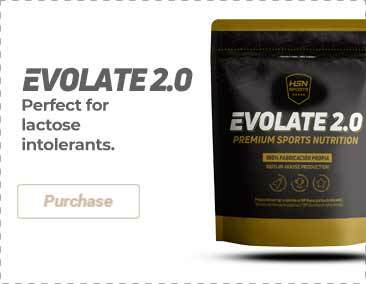 We are talking about the most advanced and complete pre-training formula on the market, which includes precision engineering to incredibly improve the performance of athletes. With Assault V2 you will achieve your objectives in relation to: muscle size, energy, focus, strength and endurance. Caffeine is one of the most popular supplements amongst athletes, thanks to its performance improvement properties and maintenance of state of alert. Conventinal sources of caffeine maintain the stimulant effect for a short period of time, but through the PureEnergy™ system you will be able to enjoy the benefits of caffeine and even exceed by up to 8 times the duration of other sources. Natural and artificial flavoring, sucralose, citric acid powder, medium chain triglycerides, red beet powder (colorant), acesulfame potassium, beta carotene (dye). Mix 1 dispenser of Assault in 250-300ml of water, between 20-30 minutes prior to training. For better results, drink at least 3,5 litres of daily water.